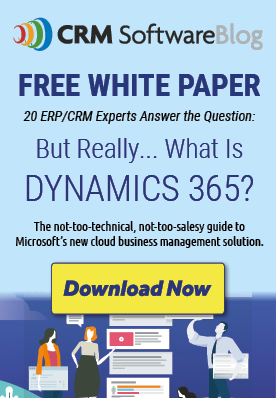 Comments Off on The Better CRM: Microsoft Dynamics 365 or Salesforce? Forrester study says Dynamics 365. The world of CRM is populated with all kinds of “solutions.” We use quotation marks here before many of these so-called customer relationship management “solutions” are anything but. That said, there are only two real options for the vast majority of businesses: Salesforce or Dynamics 365. They’re both industry leaders, and they both have their fair share of solid reviews. The bottom line? 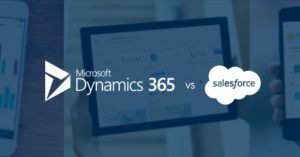 There’s no contest: Microsoft Dynamics 365 trounces Salesforce. Salesforce has spent an awful lot of money over the years making themselves out to be the best CRM out there. They have millions of users, and they paint themselves as the obvious choice. But, when you’re picking a CRM that you plan to use for years to come, the question is: how will this CRM develop in future years? When it comes to the future, we’re convinced that Dynamics 365 is the way to go. That’s why we’ve helped one client after another make the switch from Salesforce to Microsoft Dynamics. If you’re not yet convinced, we don’t blame you. Salesforce might still seem like an attractive option. That’s why we’ve put together this list of reasons why Dynamics is the way to go. Posted in About Microsoft Dynamics CRM, CRM Online, CRM Software Implementation Tips, CRM Software Information, CRM Software Research, Dynamics 365 Business Edition, Dynamics 365 Enterprise Edition, Dynamics CRM for Customer Service, Dynamics CRM for Marketing, Dynamics CRM for Professional Services, Dynamics CRM for Public Sector, Dynamics CRM for Sales, Dynamics CRM vs. Salesforce.com, Microsoft Dynamics CRM 2011, User - CRM User Posts | Comments Off on The Better CRM: Microsoft Dynamics 365 or Salesforce? Forrester study says Dynamics 365.